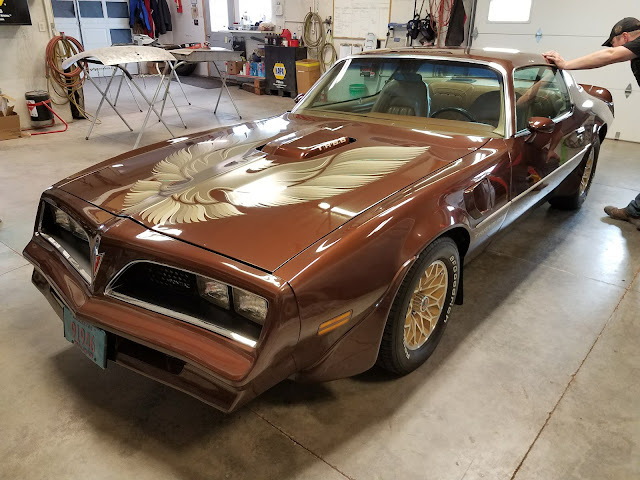 At first glance, this 1977 Trans Am looks solid. 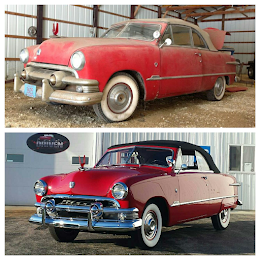 It's well cared for, driven frequently (only in the summer), and any minor body damage or mechanical repairs were always done promptly. But there was a dirty little secret hiding under the whopping 5 layers of Brentwood Brown paint(see the video tour of paint stripping on Facebook). 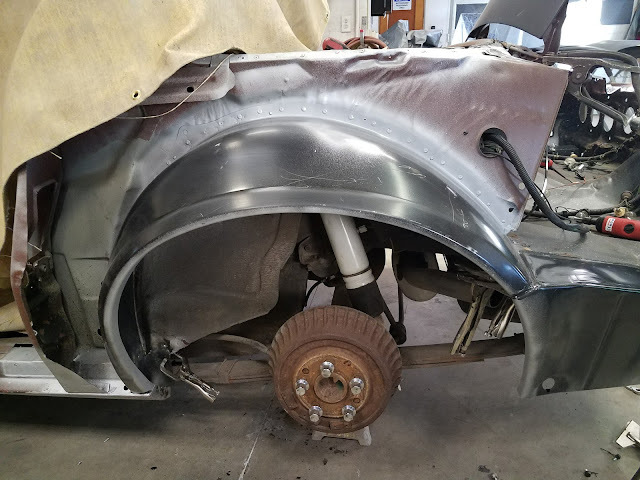 Old repairs left the rear wheel housing, trunk extension and quarter panel with rust eating away at the sheet metal. In the photos that follow, we show you the rusty consequences of incorrect metal repairs and how we fix it at Driven Restorations LLC, using fresh sheet metal on this 1977 Pontiac Trans Am. Preparing for disassembly, Molly did a video detailing the exterior condition of the '77 Trans Am on Facebook. In this video we point out some known trouble areas as well as make note of some hints of hidden surprises we uncover later. 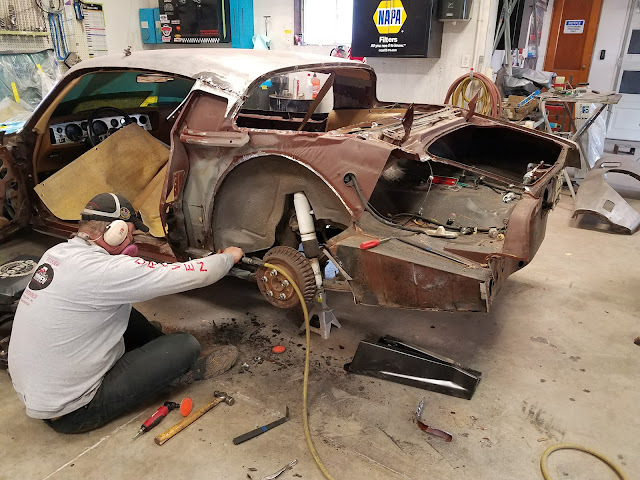 At our shop, we ALWAYS strip our customer's cars to bare metal. This starts with disassembly. 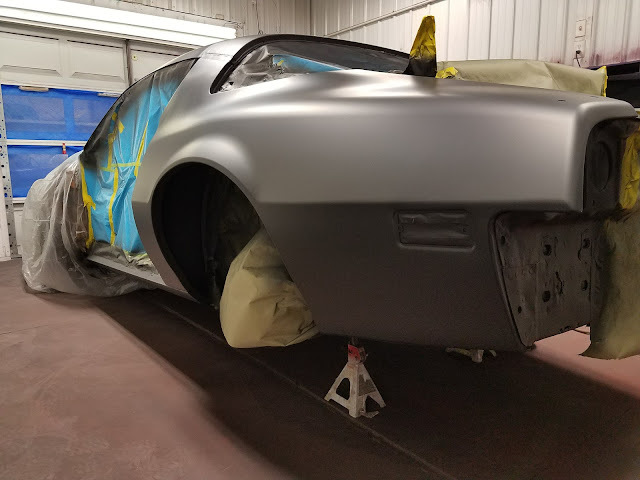 All decal's, body trim, weatherstripping, door handles, windows, and mirrors were removed from the car before we began chemically stripping and sanding the paint from the car's body. As we stripped all 5 layers of paint off the Trans Am, overall it was in remarkably good shape with minimal dents or surface rust. There were obvious issues with the hood and front end fit which is very common from factory for this year and model, and the door hinges and bushings needed to be replaced. Again, very normal. The owner had informed us of at least 4 complete re-paints, bumper plastic repairs and lower quarter patch panels so we were expecting a few issues. 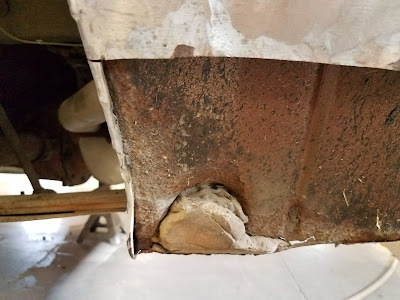 But the extent of the old lower quarter panel repairs only became ominous after discovering rust holes on the outer wheel housing and near the bumper mount location at the rear of the car. The biggest problem area was at the driver side lower quarter which had a very large metal patch panel that was hand formed. 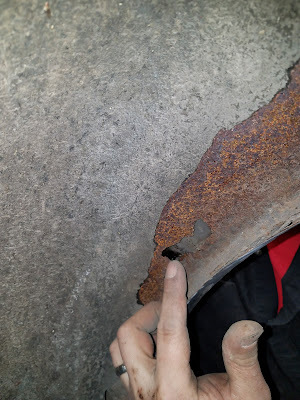 Shaping the patch with relief cuts to form the arch of the wheel well and then layering that patch over the original sheet metal created perfect conditions for rust. 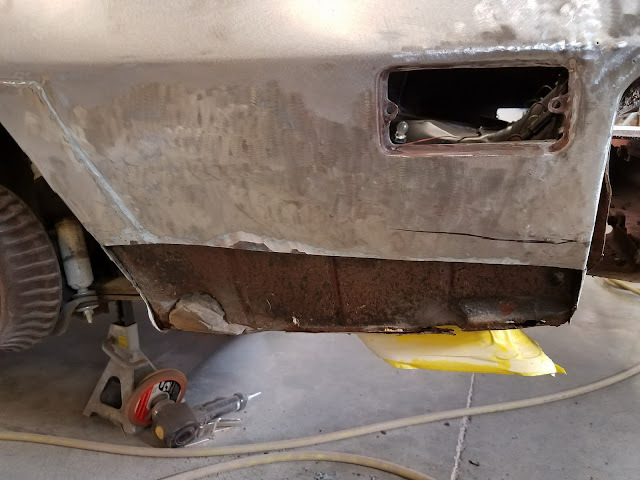 Covered with at least 1/2" of body filler on the outside and a GIANT SCHMERE of 1-2" thick filler on the INSIDE, the metal repair issues were hidden from view, leaving only an extremely thick panel as evidence that something was amiss. The wheel housing and under body were topped off with a generous layer of rubberized undercoating. The result was a repair area that was eating itself away from the inside out. Close up of the filled in drain hole in the trunk drop off. Layered patch over original sheet metal of the lower quarter. The bottom lip of the original quarter was rusted through. Multiple holes formed under the rubberized undercoating on the outer wheel housing, now forcing replacement of additional sheet metal to correct it and prevent future issues. 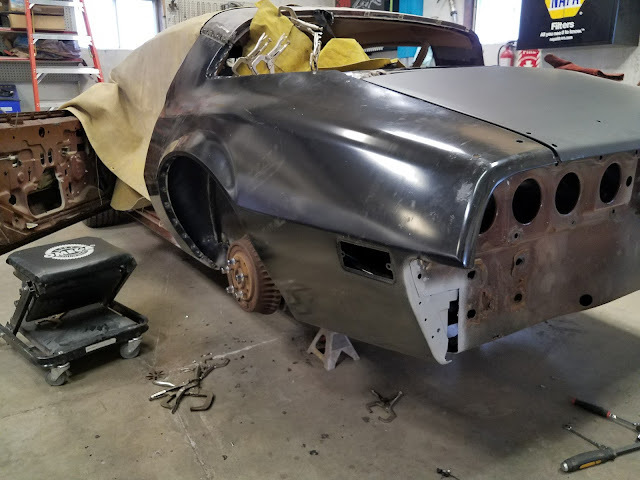 The quarter panel is removed by drilling out the factory spot welds and separating the seams across the trunk opening, wheel well, rear window, door opening and roof seam. Yes, dig out all the lead at the roof seam! 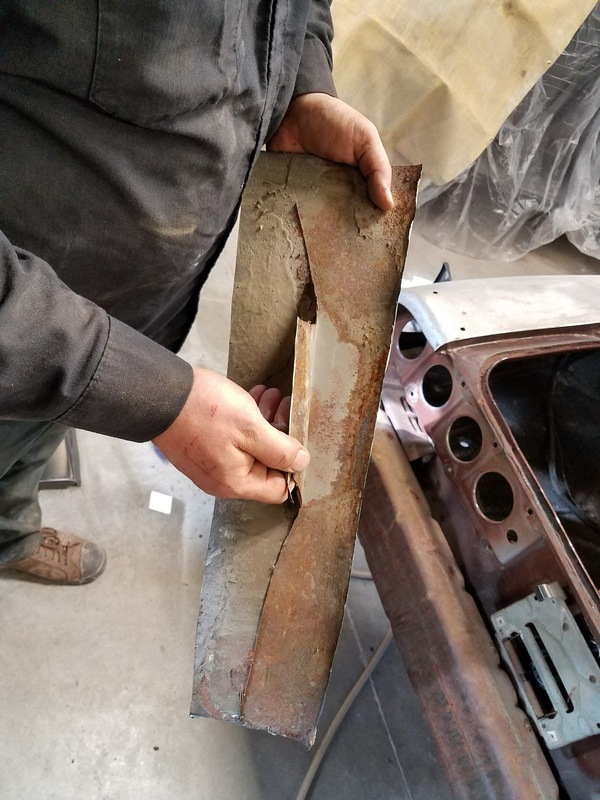 You may need to weld a filler piece in place if lead removal leaves too large of a gaping area with the new quarter panel. Steve is working on removing the outer wheel house and trunk drop off by drilling out spot welds. The surface must be ground clean, flattened to allow a flush fit between panels, and free of surface rust prior to placing new metal. All surfaces to be welded need to be cleaned up (free of rust and jagged edges) and then covered with a layer of weld through primer (the silver color on the edges of the panels). This ensures that even at the weld location the metal has a coating of primer to protect it. You wouldn't buy a leather coat without trying it on first right? Consider this an investment in your car's future value, similar to buying a very expensive article of clothing. It looks great on the rack, but it fits every body differently! The panels MUST be test fitted. Just because they are new and stamped in a factory from "factory molds" does not mean that they will go into place like a piece of a jigsaw puzzle. 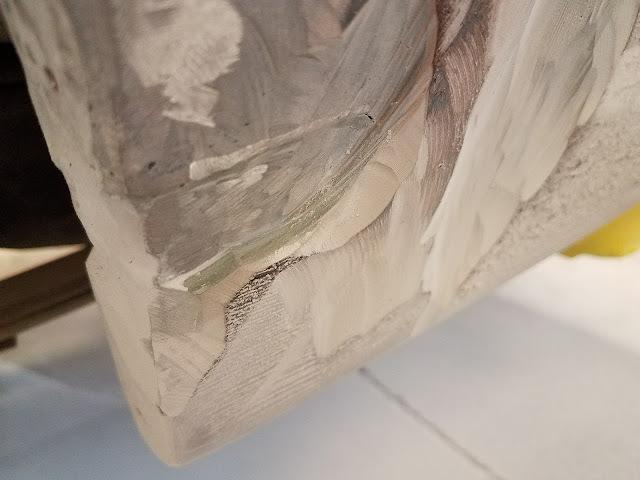 Molds wear out over time, sheet metal isn't always perfect when stamped, and delivery drivers don't always ensure your panel stays upright in the truck. Test fitting is time consuming, repetitive and can be frustrating, but you will not regret taking the time to do it! We were very happy with the fit on these parts (made by AMD) and needed to do minimal re-working to achieve the end result that will give us the proper door gap, trunk lid gap, spoiler fit, bumper fit and a straight body line from door to quarter panel. Outer wheel house and trunk drop off are fitted with screws to hold them in place. ALL panels will be test fitted before marking final locations and then spot welding or panel bonding them into place. Quarter panel is being test fitted one final time before prepping for installation. Minor modifications were needed to the roof seam area and lower front quarter to achieve proper fit and alignment. The quarter panel is aligned with the trunk lid and spoiler. 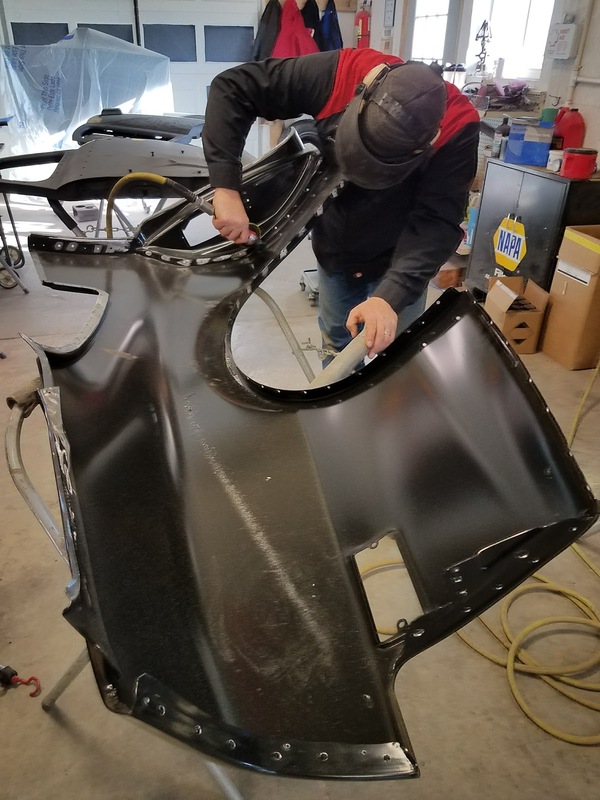 Be sure to test fit, then drill holes in the correct locations, then test fit again to be confident that the spoiler parts will line up properly. 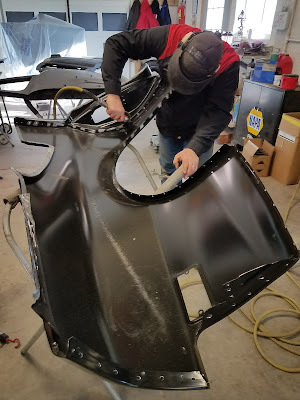 Quarter panel prep in progress. After test fitting the panels, mark your panel alignment holes, where you had it screwed in place, so you can find the sweet spot quickly for final installation. Then the sheet metal has to be removed. Again. Yes, we know, did we mention that panel fit can be repetitive? Once removed, the panels are prepped for welding by punching holes approximately every 1.5". Use factory spacing when gauging distance between welds. 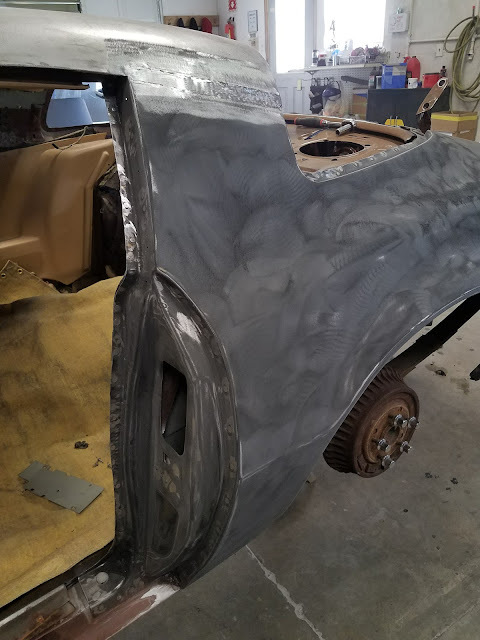 Grind the e-coat off the area to be welded, then apply weld through primer to the seam surfaces of the panel where it will be welded. Outer wheel house and trunk drop off are welded in place and then covered with primer again. NO BARE METAL should be exposed anywhere in the repair area, especially where metal touches metal. The quarter panel is screwed and clamped in place. We are ready to weld. Remember to go slowly and space out your welds. Also, remove the guide screws and weld the holes closed before you're done. Now you might think is a great time to sit back and admire your work. After all, you spent all that time test fitting, aligning, re-aligning and positioning those panels! However, you've got a car in bare metal and with fresh repairs! Prepping the body for primer starts immediately by grinding any welded seams flat and sanding off weld spatter from panel surfaces. The quarter panel installation after the e-coat is sanded to prep for epoxy primer. 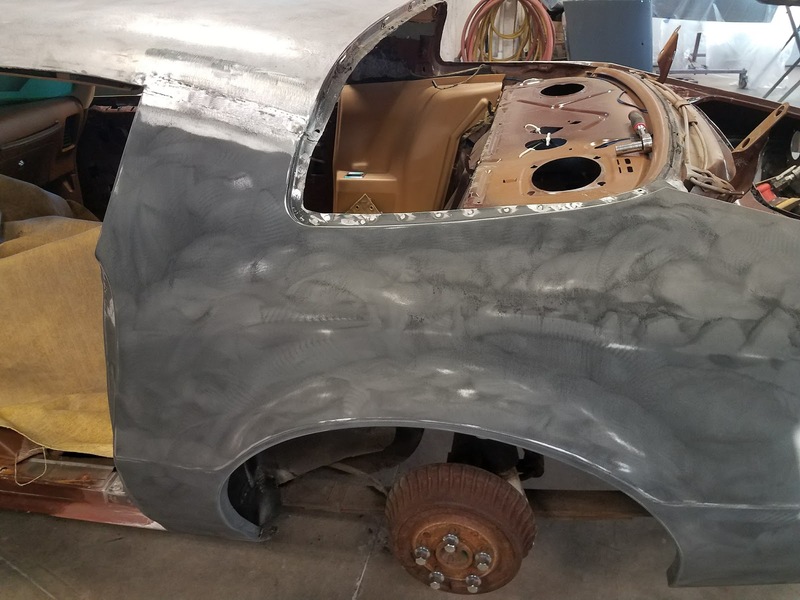 Notice that all lead is removed from the roof seam and a filler piece of metal was welded in place to better flatten the seam between the roof and quarter panel. Lead seams have a tendency to shrink and cause cosmetic defects if left in place during a re-paint. 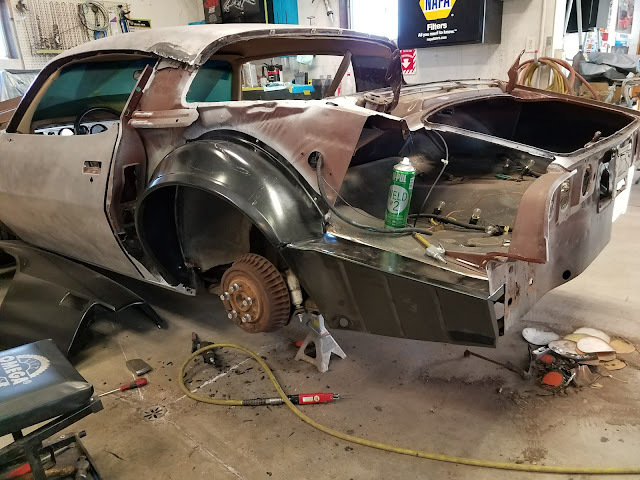 After sanding the e-coat and prepping all areas to be primed, the car needs to be masked off and cleaned with de-greaser. 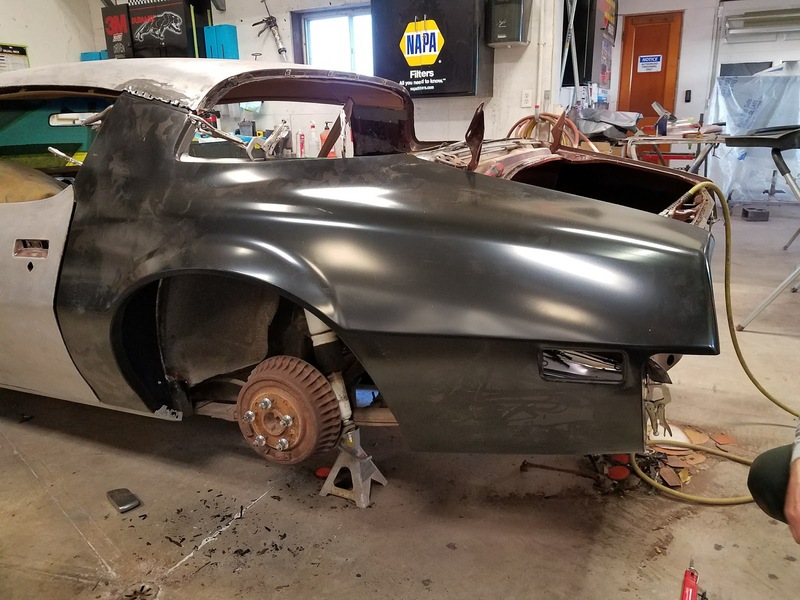 Once cleaned, the exterior and any bare metal areas that were repaired need epoxy primer to provide a weather sealing coating over the bare metal and a uniform base layer to begin blocking and straightening. 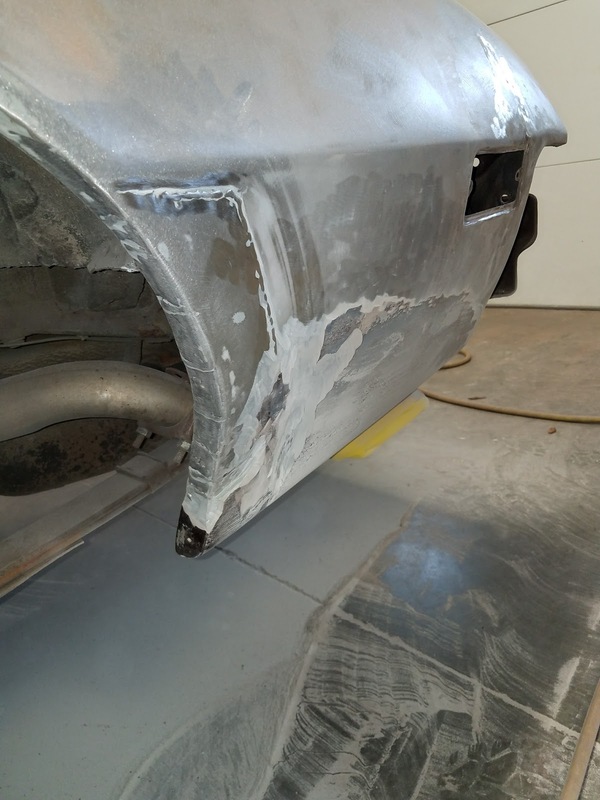 Body filler should not be applied directly to bare metal as it does not seal the metal from moisture or prevent rust. 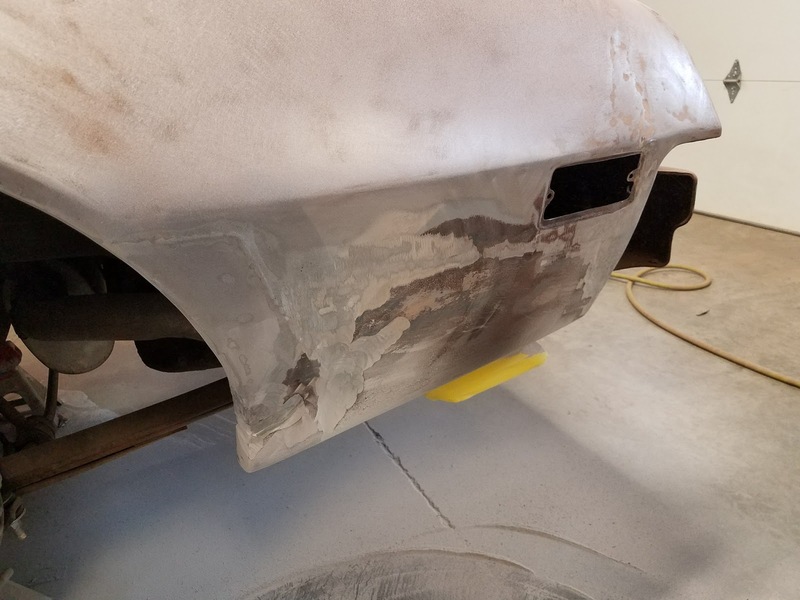 Only after coated with epoxy primer do we recommend starting body filler and straightening. 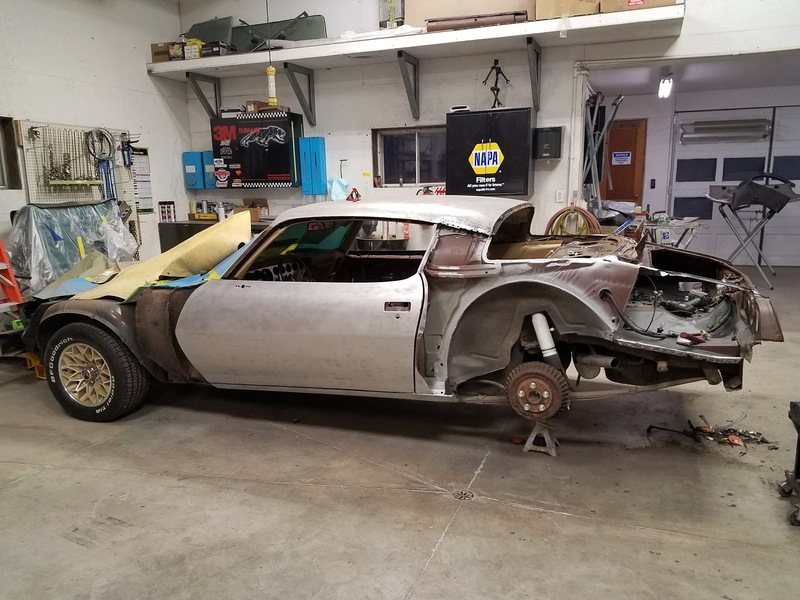 The '77 Trans am metal repair is complete and the car body is ready for block sanding and straightening with body filler. 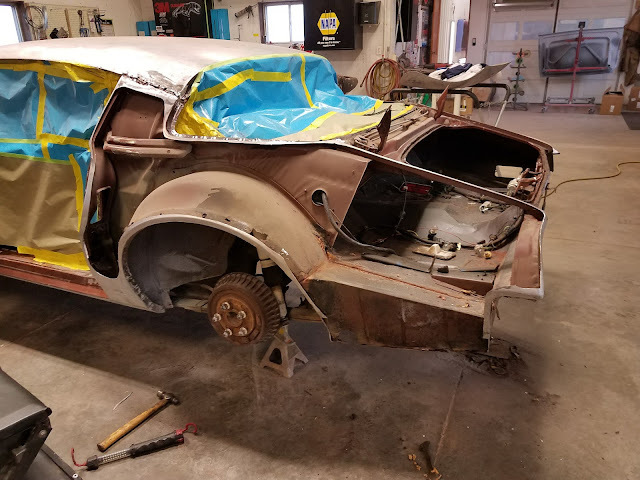 Rust repair and panel replacement is all too common on classic cars that have survived to see the road in this millennium. It is a technique that, when done correctly, can ensure another 50 years of enjoyment in the future. 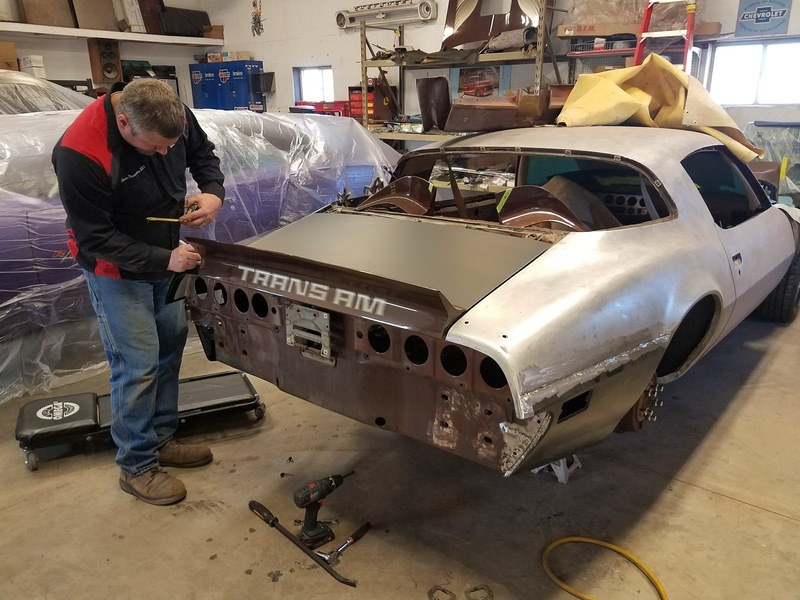 Thanks to it's owner's investing in correct repairs, this 1977 Trans Am will be enjoyed for decades of summer car cruises to come.